In fact falling in love is like madness, like being insane; things don’t really make sense to you. Falling in love makes you still at work the whole day thinking about somebody without working; falling in love makes you sleepless, no wonder midnight calls still exist. Falling in love is like getting drunk; yes, you are drunk with feelings. Emotions move you, you act without thinking twice, you accept lies without doubting, you kiss a frog and call it a Prince. This is what falling in love looks like, it’s a nice, sweet and beautiful experience yet crazy. It’s God’s design, it’s normal, it’s just like the appetizer before a main meal. I know of old men and women who recollect how they fell in love with their youthful spouse and now ask why all those feelings disappeared. I am taking time to educate people in love and those who are about to fall in love, what this experience is about and how this happiness will not turn into a nightmare, or bitterness in their hearts. It's God design for us to be in love; the first stage of love is driven by feelings but it’s temporary. It has an average span of 2-3years. 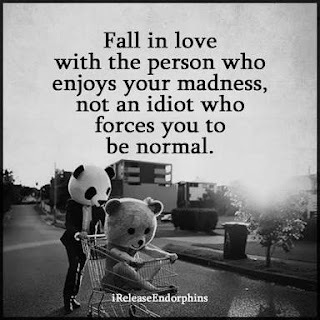 Falling in love is similar to being “high” like people who indulge in drugs, and at that height, lots of things don't make sense to you, but once you come down, they surely do. No wonder Songs of Solomon 8:4 (NLT) says "Promise me, O women of Jerusalem, not to awaken love until the time is right". You need to fall in love with the right person and at the right time, or else it creates a hell afterwards-effect for you. Because of this experience, it’s very important that you get to know people very well, people you can trust and are safe with before you fall in love with them. The knowing comes in the dating process. Falling in love can be described as falling from the top of a building; you need to be sure you have the right cushion, which refers to the right person, waiting below to catch you just like in the GLICO TV advert. The danger here is, a lot of us barely know people before we fall in love with them, so we end up coming out of the experience with hurt. The next time you are thinking of falling in love, please pause, ask yourself, do I know him or her? Can I trust them with my life?, before you proceed. For when you are drunk you have no idea what happens to you, so imagine being drunk and left vulnerable.